Teeter Hang Ups inversion tables are great for dealing with back issues, and can also be used to aid with advanced stretches and home workouts.. Using an inversion table has been known to improve posture and circulation, as well as spinal alignment. By improving these areas, it has been effective at treating back pain, thereby improving quality of life and helping to improve the users performance in other areas of exercise. 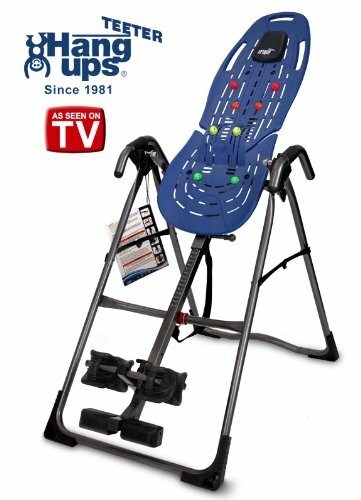 What is the best Teeter inversion table though? My personal recommendation for a good inversion table would be the Teeter EP-560 Ltd. My reasons for this are the subtle extras and the fact that this is a good, durable inversion table. Teeter Hang Ups are a well-established company which was founded by Roger Teeter over 35 years ago. The creation came about because Roger and his wife both suffered from back pain. He was determined to find an answer, and with his line of inversion tables, he has managed to accomplish exactly that! Inversion tables place you upside down, so gravity acts on you from the opposite direction to usual. This is believed to help your spine to re-align and to recover from supporting your body weight all the time. The inversion also aids muscles, tendons and ligaments to stretch and become more supple. Over time the effects of this can create a stronger back/neck area and better posture. Now let’s take a look in more detail at the Teeter tables I would recommend for you. The Teeter Hang Ups EP-560 Ltd is the king of Teeters’ inversion tables if you ask me. This is one of the few inversion tables on the market which has been cleared by the FDA as a medical device. It has been proven in a number of studies that inversion tables can help with re-alignment, disc problems and general back aches. Despite that not many inversion tables actually get cleared by the FDA as medical devices, because they have to push a high threshold of consistency in results. Some of this can be affected by specific types of injury, the table used, how it was used, or even the individual using it (genetic & build differences). Regardless of these hoops, the EP-560 Ltd has managed to pass through all of them and become FDA accredited! There’s no doubt that this is the best Teeter inversion table available. This table comes with acupressure nodes and lumbar bridge accessories as well. Teeter also provides an exercise & pain management guide which is very helpful for newcomers to inversion. The EP-560 is able to deal with many issues thanks to these features. It’s useful for rehab, and of course as a regular inversion table. The acupressure option gives yet another method of treatment which could help with more than just your back! Getting strapped in to this is simple, and the ankle cuffs are secure without giving up any comfort. This level of comfort is actually one of the reasons that Teeter is so popular. The bed on which you lie is contoured to human shape and made from a soft and flexible material. While supporting you fully, it will bend and flex to give the most comfort possible. Using the table is also simple. You set it for your height and strap yourself in. From there you can use your arm motions to shift bodyweight and rotate the table forwards or backwards. There’s also a safety tether so that you don’t over-rotate. There’s no risk of unwanted movement either, because the secure lockout option lets you hold the table in place regardless of body movements – this is great for exercises or stretches whilst on the table! Teeter provide their EP-560 Ltd table with a 5 year all-inclusive warranty. This keeps you stress free as you can enjoy the table knowing any breakages will be covered. Regardless of the warranty, the product is genuinely reliable. It’s difficult to find people who’ve had problems with this model, and the materials used are solid on paper and in practice. The final plus for this product is that it folds away in moments. There’s no need to dismantle anything or use any tools, it’s genuinely a fold away product. Once folded the table covers a space of roughly 20” x 29” x 66”, small enough to place in a cupboard or corner. You could even slot it in behind some pre-existing furniture while it’s not in use. There are no real drawbacks to the Teeter EP-560 Ltd in my opinion. Some people might consider the price to be high. I don’t because it isn’t amongst the highest priced tables and is actually really good value, considering the quality and reliability. 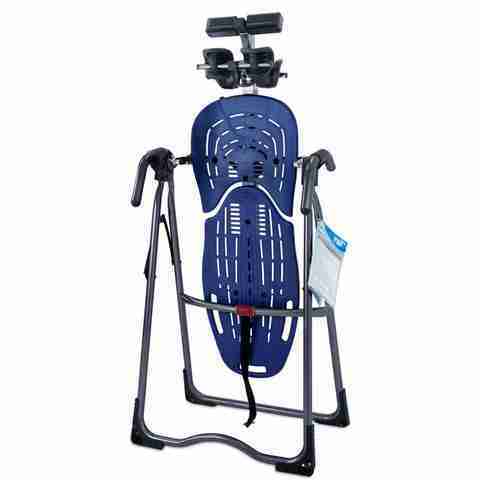 The Teeter Dex II Decompression table is a manual inversion machine. It also doubles up as a bit of a workout station for some exercises too. Dip bars are attached and you can use the unit for all types of stretches and bodyweight exercises. You can control your position and adjust it however you like because this is a manual unit. There are no restrictions which mean you have to be in one position or the other, you can literally just shift a few millimeters if you want to. Keep in mind this table does have a set position and the adjustments refer to moving from that position. If you want actual diagonal inversion, you’re going to need a different table. Both of these features make this quite a mobile table. The Teeter Hang Ups Dex II Decompression isn’t difficult to put together, follow the instructions and you should be done in a few minutes. De-assembling and moving the entire unit also only takes minutes. On top of being easy to move & set up, this table has a solid, non-slip leg design. That means it can be set up on any type of floor without problems. Using this on even slippy, hardwood floors is possible whether using it for inversion or using it as a workout station. It shouldn’t slip in either situation. As with other Teeter Hang Ups mainline products, this comes with great build quality and an extensive five year warranty. All of Teeters products are built to the same standard. It isn’t the most expensive unit but the Dex II Decompression table is a little more costly than other, similar tables. This puts off some buyers, though the quality with Teeter Hang Ups is higher than many other brands who offer similar types of table. 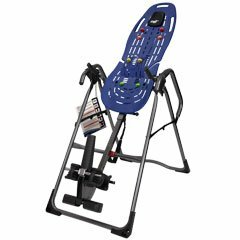 Also it does come in a little cheaper than a full on inversion table, though as the price of complete tables falls, it may be worth putting in the little extra for something like the Teeter Hang Ups EP-560 Ltd Inversion Table. 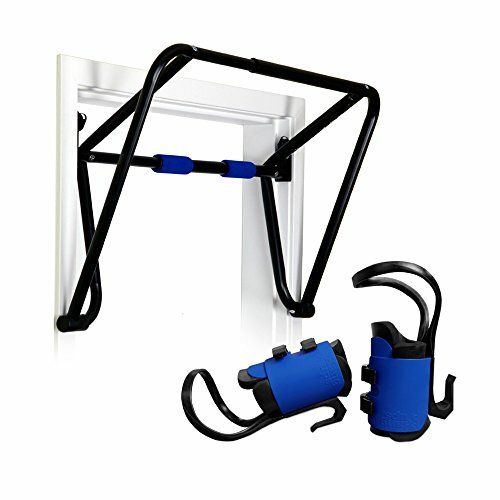 The EZ Up Inversion is a doorway inversion system which also doubles as a chin-up/pull-up station. Much like a detachable pull-up bar, it takes mere seconds to slot this in to place and have it secure in your doorway, using the doorframe itself as an anchor point. The station can also be purchased with or without the Teeter Gravity Boots, which are a fantastically secure fitting if using this for inversion. Having the ability to simply put this in place within seconds means you can take it back down and store it neatly out of sight after every use. Combined with the lightweight build, it also means you can take the entire system with you if needed. It’s small enough to fit into even a small vehicle for transport over larger distances. The setup is as simple as putting it in place. With the anchor points secured the Teeter EZ Up Inversion unit is not going to slip. 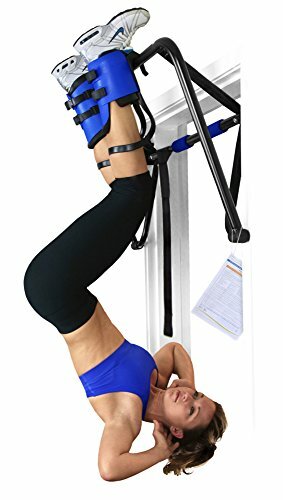 Being able to use this for inversion or for pull-ups and chin-ups gives more functionality than a standard inversion table would. You can also do a variety of upside-down exercises thanks to the secure fastening of the Gravity Boots. 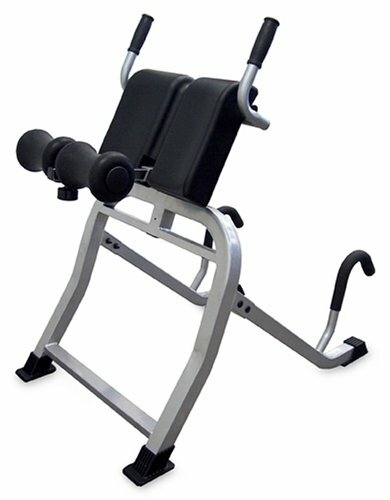 Compared to an actual full-inversion table, this is a much cheaper buy. If you only need simple, vertical inversion without support, this is a great buy for you. For pull-ups or chin-ups, the EZ Up isn’t the most comfortable unit. The bar is bare and must be gripped tightly, so you might want to use a pair of workout gloves when doing your exercises. Weight capacity is limited and inversion can only be gotten in a full vertical position. Between this and having a fixed position because of how the ankle straps attach, you’re limited on what you can actually do with this inversion unit. For more advanced moves or rehab, you would need to go for a proper table. Basically which table you should buy depends on your needs. The EP-560 Ltd is my overall choice, and failing that I would probably go for the EP-550. The EZ Up Inversion would be my choice for anybody tight on space or who just wants to get started with some simple inversion.